Archbishop George Stack writes: “For nearly 2,000 years Christianity has been present in Wales. As geographical, social, cultural and religious boundaries have changed the Catholic Church has been a constant presence responding to changing times and needs. In 2016 the Archdiocese of Cardiff celebrated the Centenary of its formation from the roots of the former Diocese of Newport. I am humbled and privileged to serve as the 7th Archbishop. Whilst my role is to shepherd and lead the Archdiocese, I am very aware that role is not restricted to the present. Shepherds are called to look ahead when leading the sheep. Planning for the future is vital for the Church to grow and thrive, to continue to respond to the changing times and needs. Parishioners have been generous in providing financial support through regular gifts or by leaving a Legacy that has helped form the Archdiocese we are all part of today. Our circumstances change as we move through life. The importance of making a will is recognized but often neglected. If you are considering making a Gift to the Church our diocesan website details some examples of our commitments as a Diocese and how we would ensure a lasting gift is best used. I would strongly urge you to speak to one of the team at Archbishop’s House so that we update you on progress of our current projects and to take professional advice before making such a commitment. Our 3 Churches Carol Service is at Christ the King this Wednesday 20 December at 7pm. Always a beautiful way in to our celebration of Christmas, why not invite friends along, especially if perhaps they would not come to Mass. Refreshments to follow in the Parish Centre. There will be a run through of the carols on Monday 18 December 7pm at Christ the King. All singers from the 3 Churches are invited to come along. On Sunday 17th April 2016 we are launching a new Youth Group for Yr7 and Yr8 here in our 3 Churches, and we don’t want anyone to miss out on what will be an amazing experience. Once you go to High school, parish life can seem to stop, apart from Confirmation. We are launching this new youth group because we really value our young people, and we know that they have so much to give. The vision of 3CY, rooted in our Catholic faith, is inspired by Pope Francis’s letter “Laudato si” where he asks us to care for each other and for our common home. The idea is to have fun, make new friends, have a great time. But also to talk about real topics, take action on real issues and use our gifts and talents to make real change. Friendly and informal, with games and refreshments, there will be talks, videos and discussion, maybe walks and trips, music and drama, prayer services and Mass. So we invite our young people to come along and take ownership of this group. It’s all yours! Where? CTK Primary School Hall. When? 6.30pm – 8.00pm Sundays in term time from 17th April. and offer complete forgiveness and salvation for all. to sense your understanding and encouragement. but to trust in your unending mercy and compassion. Visitors often tell me that there seems to be a lot going on in our 3 Churches, going by what is a full newsletter every week, often with things queuing up to get in. They are right – but sometimes we only realize it when we try to put useful parish info together. Our 3 Churches Evangelization and Pastoral group felt it was time to do a new edition of our information leaflet, and so you should receive one today with this newsletter. It contains loads of information on many different aspects of parish life. Please do not file it in the bin, mainly because it is meant to be a useful resource for you – but also because it has taken a few people a lot of time! In the next week or two we will publish a second sheet, this time giving more detailed info on the surprising number of groups and activities in our Churches that encourage prayer and discussion. Again, new parishioners sometimes ask what there is to join, while “oldies” are often unaware of just how much is going on. Communication – Community – Communion……it all helps to make us one! The Mercy of God is patient. and gives us time to grow to fruitfulness. Help us to be open to the feeding and pruning we may need to become fruitful disciples in your Kingdom. We are blessed with a wealth of dynamic young people in our 3 Churches, and surely we all feel it to be so important to cultivate this vibrant gift. Now a programme has been put together to give the younger members of our parishes a voice, and the opportunity for some fun together. 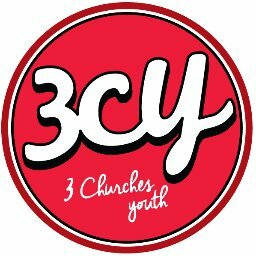 This initiative will take the form of a 3 Churches youth group for ages 11-13, (pre-Confirmation), meeting each Sunday evening in term time for an hour and a half. We believe that people of this age want more from a youth group than simply socialising. So, taking inspiration from Pope Francis’s letter “Laudato Si” we have devised a programme which enables our youth to get into some ecological discussion and action on a global, community and personal level. The sessions will be friendly and informal, involving speakers, relevant videos and topical discussion, mixed in with games and refreshments. The goal is to encourage and support our young people in planning and carrying out initiatives themselves, while enjoying creating their own community and friendships. We hope to plan walks and trips, perhaps start a parish garden or give an opportunity for music or drama, and so enable our rising generation to share their own gifts and talents. There will be scope for them, if they wish, to organise prayer services or Mass. We will also take a lead from them in planning nights out…..pizza, bowling, cinema…..
Can you lead and inspire young people? We currently have three leader volunteers. We need more, in order to have a required minimum on any particular night and, at most, every fortnight. Do you have a skill you could share with our youth? We hope to tap into the vast pool of skilled and talented adults in our churches. If you can volunteer to share your particular skill, or know someone else who could, we would be delighted to create one or more sessions around it. Can you give some precious time to the youth of our parish? All this can happen only if we have a substantial number of adult volunteers to help supervise on a rota basis. We are inviting our youth to come forward with their ideas and vision. We appeal to our adults to join us in volunteering to help with this brave initiative for the benefit of our young people and all of us.